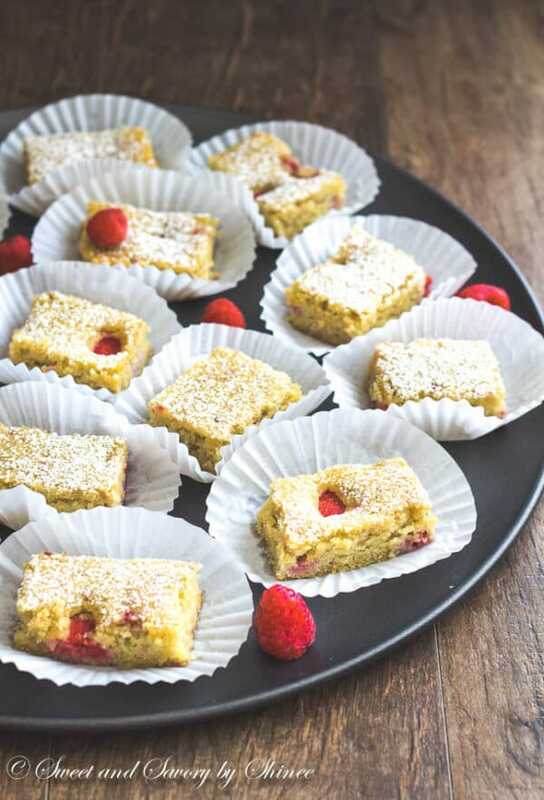 These raspberry pear almond cake bars are light and delicately sweet with slight tanginess of raspberries! Irresistible crowd pleaser! If you follow me on IG, you know I just went through a whole box of Bartlett pears. Although almost third of the box is sitting in my freezer now, I truly enjoyed every single juicy pear! They are so incredibly soft and flavorful! While I enjoyed as many fresh pears as I could, I didn’t miss an opportunity to spoil my family with this irresistibly delicious pear tarte tatin. Making a few pear tarte tatins in the fall is becoming a tradition around here. And everyone at the ranch loves it. When I asked for some inspiration on IG, someone suggested pear almond tart. I had all the intention to make it, but one thing led to another, and I ended up with pear-almond-raspberry-cake in a loaf pan. It turned out more so like banana bread than a cake, but with pear flavor and whole a lot softer. The flavor, though, was amazing! I knew right away that these three flavors together is a BOMB. 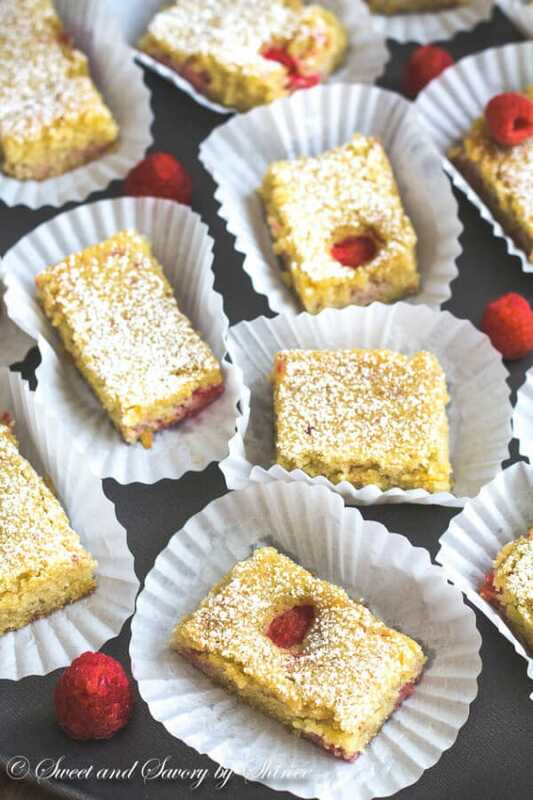 I tweaked the recipe couple more times and came up with these cake bars. They might not look as scrumptious as I wanted them to, but trust me they are absolutely lip-smacking, finger-licking delicious! All the trials were so good, that they just disappeared in a flash. 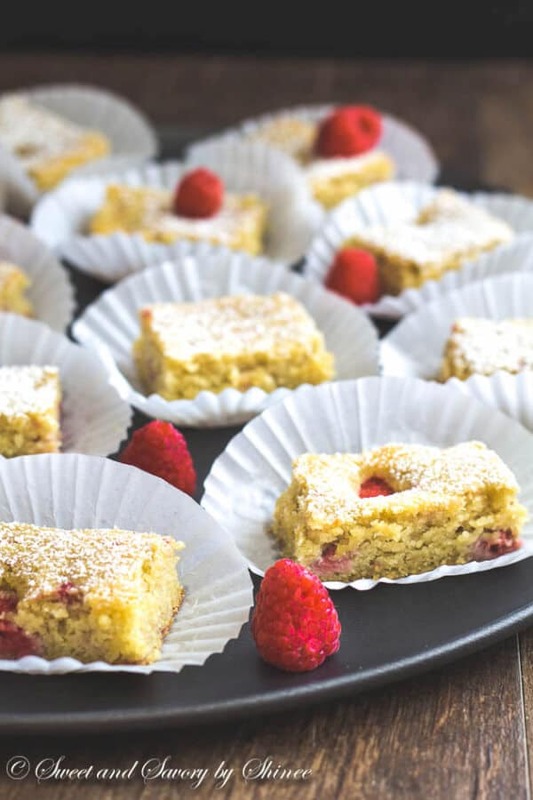 These cake bars are so light, so delicately sweet with slight tanginess from the raspberries, and the texture is so incredibly soft and moist. Oh gosh, you guys, you have to make it in order to know for yourself. You won’t regret it. Everyone at the ranch raved about them. I tried to use only almond flour, but it just didn’t give enough structure to the cake. So I added a little more flour and reduced 2 eggs to 1 egg and a yolk, and that resolved the issue. When you add raspberries, don’t be afraid to kind of smash them. Spread them around good. 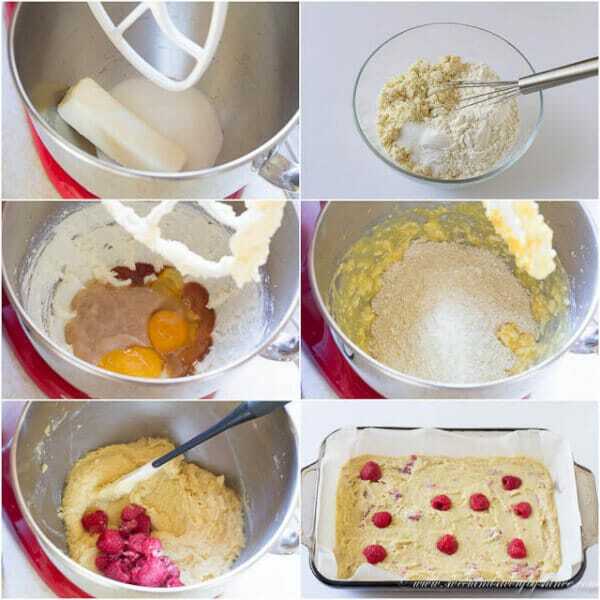 Later you can just sprinkle the reserved few raspberries on the batter before baking. Try this recipe this weekend. You won’t be disappointed. Preheat the oven to 350 degrees F (177degrees C). Line 8×11 baking dish with a parchment paper. 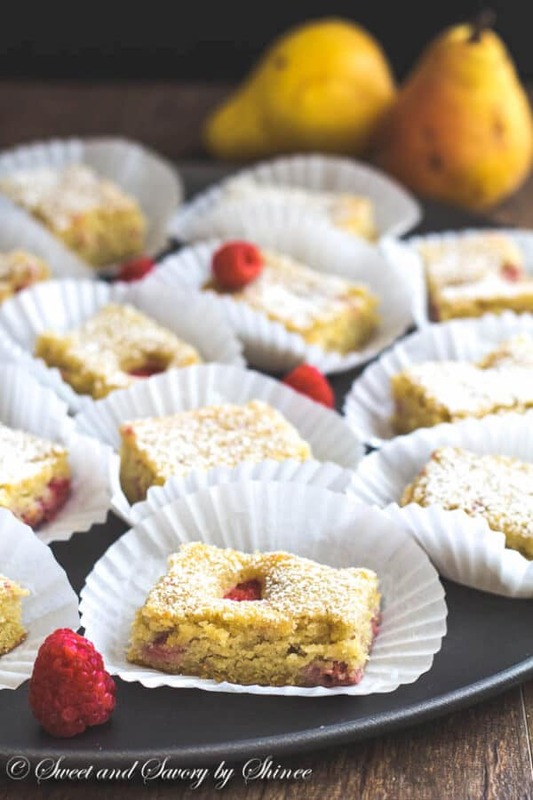 In a small bowl, whisk together almond flour, all purpose flour, baking powder, baking soda and salt. In a mixing bowl, cream the butter and sugar until fluffy, 2 minutes. Add the egg, egg yolk, pear, vanilla and almond extract. Beat the mixture on medium high speed for about 2-3 minutes, or until well combined. Add the dry ingredients and mix until combined, 1 minute. Stir in 1 cup of raspberries and spread the raspberries around pretty well. 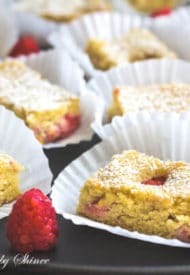 Pour the batter into the prepared baking pan and sprinkle remaining ½ cup of raspberries on top. Bake for 18-20 minutes. Cool completely before removing from the pan. Dust the cake with powdered sugar, if desired. Cut into 18 bars and serve.